...I agree, as we have a CT6 which is very fast. It's as fast as their 3.0TT, but with a 2.0T + electric. And, it still gets 31mi. But, when asked about range, the lead engineer made those remarks distinguishing between range focused and performance focused, not me. So I'm curious as why. Judging by the performance numbers the new Ford PIU PHEV turned in, clearly that model is NOT geared towards performance. Clearly there is a difference somewhere. The interior is absolutely stunning. I'm still not crazy about that Asian-looking headlight design. I did not expect this to come with an air suspension. Again, I'm impressed. This vehicle is probably better equipped than my fully loaded Q7. I think all that's left is the all wheel steering and nightvision which is exclusive. Now, the Avi has the phone-entry and start, remote-start, 450HP/600lb torque and a few other gems. 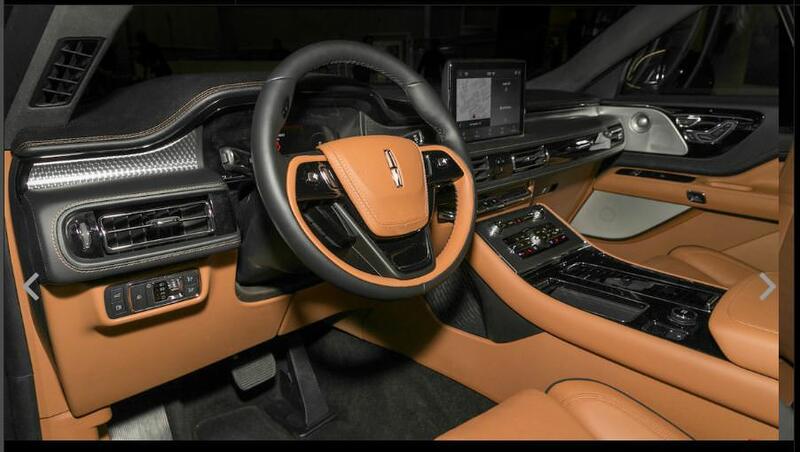 Here's the first image I've seen of the Flight Black Label interior. spudz64, hbmf3 and LincolnFanFl like this. The PHEV will need at least 50 miles of EV range, along with inductive charging. Because a Lincoln customer should not be asked tp plug in their Lincoln for every trip from home, or it will just be driven like a hybrid. With gas so cheap and getting cheaper, nobody should bother to plug in anyway. Considering the additional investment you have to make to get your own charging-station at home, you certainly have a point. If the battery of the Aviator can be fully charged just by driving to have it available on demand, I certainly wouldn't pay for my own station unless gas is >$4/gallon. ...My electrician put the 250v plug in for essentially a trip charge ($135), and I bought the Juicebox 40amp for $550. But the 32amp would be fine, and it's about $400. And think anyone looking at a $75-80k SUV can tote the $5-600. But, my 500e fully charges every night on a 110v, so it really depends on how far you drive and how long it will sit over night and whether charging is available at work as to whether you need a 240v at home.